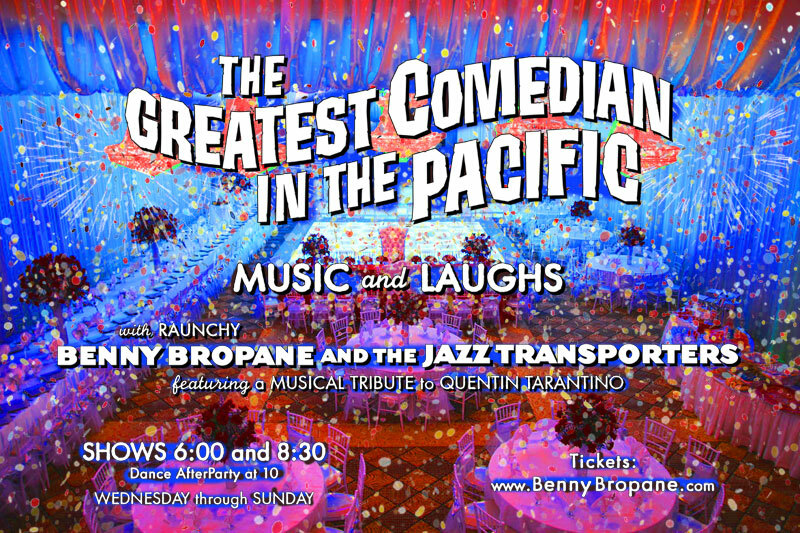 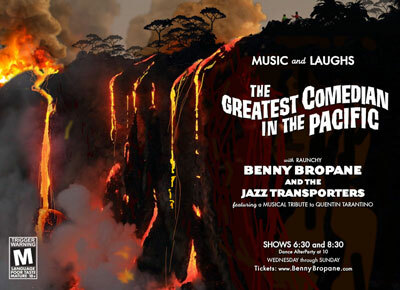 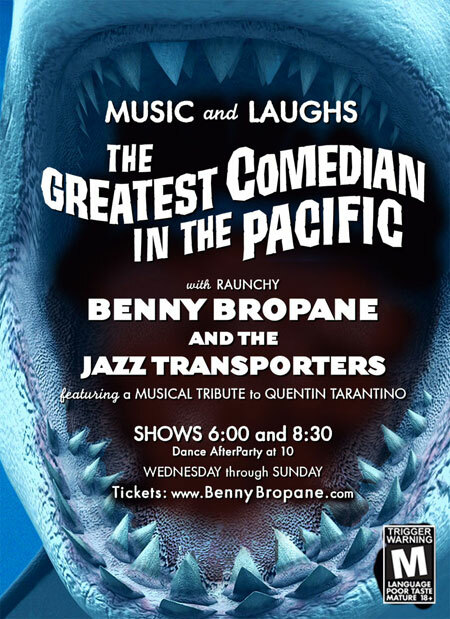 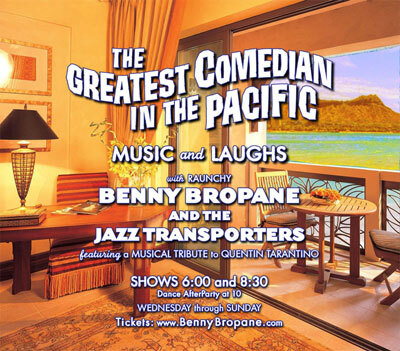 BENNY BROPANE The Greatest Comedian in the Pacific! 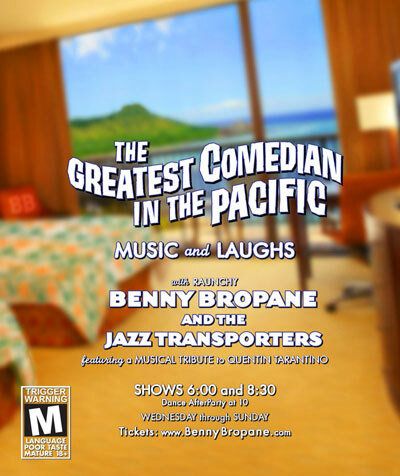 BENNY BROPANE is the newest cat on the Waikiki Strip and the star of his own show "The Greatest Comedian in the Pacific." 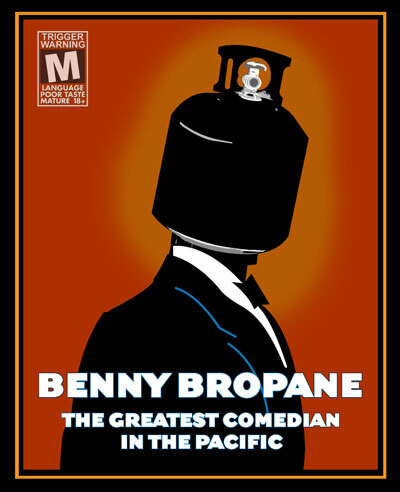 Like a mixed-race John Belushi, our local boy Benny Bropane is a manic, rumpled, sweaty fireplug. 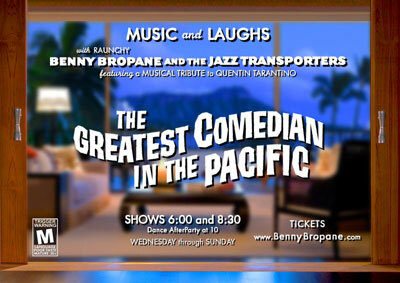 He loves his cigars and his bling. 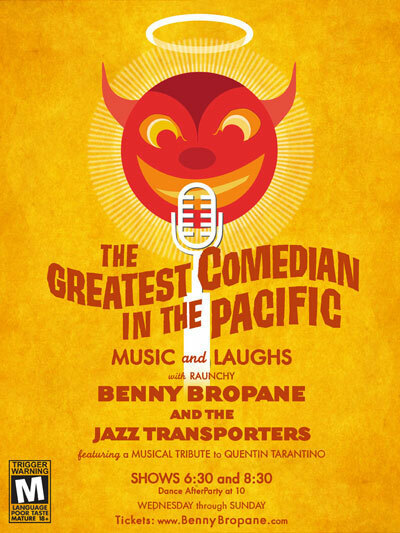 The comedian is ribald, raunchy and very funny. The Jazz Transporters, a quartet of gender bending musicians and vocalists, entertain us with a Musical Tribute to Quentin Tarantino. 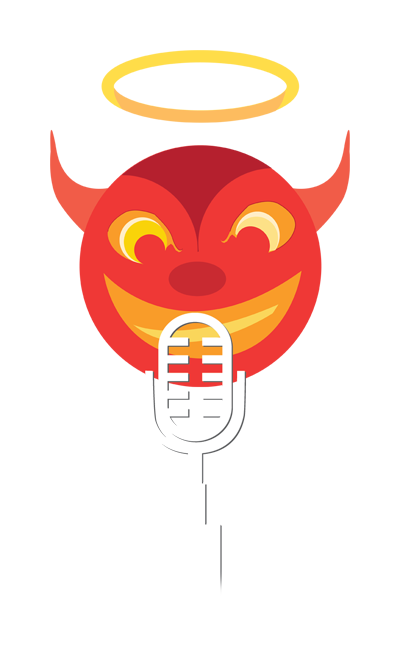 Hilarious Japanese language show is available! 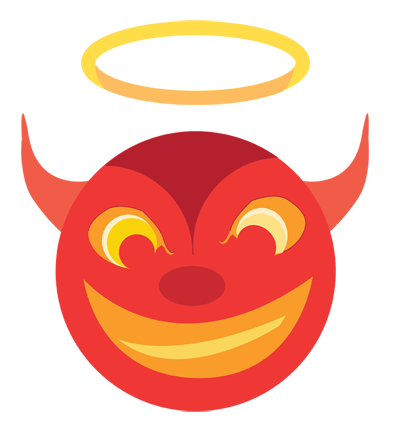 Our MARKETING MATERIALS are fun! CONFIDENTIALITY NOTICE: This web page is intended only for the person or entity to which it is addressed and may contain confidential and/or privileged material. 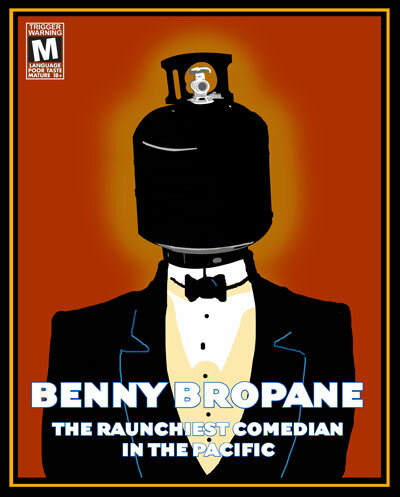 Any unauthorized review, use, disclosure or distribution is prohibited. 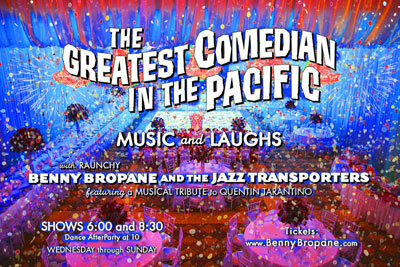 If you are not the intended recipient, please contact the sender by reply e-mail and leave this website.